Want to be hired by Tess? 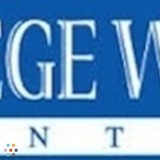 College Works Painting is an exterior painting company with a branch in the Woodbury/Cottage Grove area. Currently we are looking to hire painters for full time work in that area. Commuting is allowed, but Woodbury/Cottage Grove and the immediate surrounding towns are preferred. This position consists of painting the exteriors of residential homes. Also, there will be a requirement to help advertise for the business through flyer campaigns. These are fun sessions with the opportunity to also become a marketing manager for the business. We are looking for motivated individuals who are capable of working hard but also having fun on the job site! This is an excellent opportunity for college students, but college enrollment is not required.